Description: VRIO represents for Value, Rareness, Imitability and Organization. The model is a business analysis framework that shows enterprises' strategic scheme. 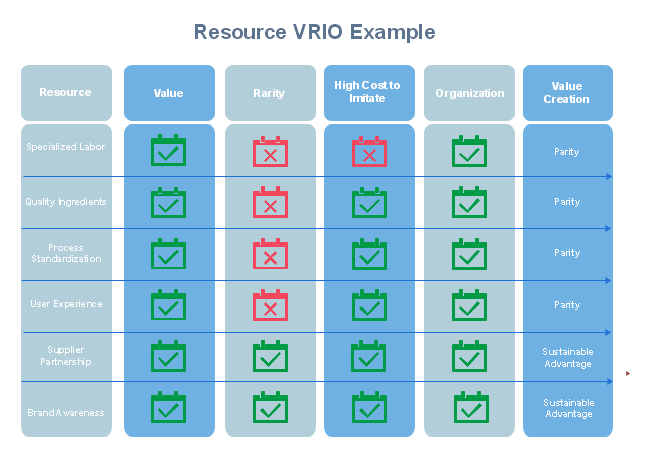 The resource VRIO template here shows you different measurements and factors in colors.